Psychodrama is a method for explor­ing problems by improvisationally enacting them as if in a play. In addi­tion to its being a form of psychothera­py—the process of treating patients by psychological means—psychodrama is often applied in "role playing," one of psychodrama's derivatives, to deal with a wide range of situations in education, business, or community relations. Psychodrama was developed by an Austrian psychiatrist Jacob Levi Moreno, when he observed the need for spontaneity and creativity in social relations. Moreno began developing practical methods to address this need. Moreno, through a passing interest, formed the Theatre of Spontaneity in 1921. This group is thought to be the first modern improvisational dramatic troupe. Through this activity, Moreno discovered that role playing helped actors with their, real personal problems, and initiated the beginning of psychodrama. Moreno moved to the United States in 1925. He later established a psychiatric sanitarium sixty miles north of New York City in 1936. Moreno, for the rest of his life, was notable for also being a major pioneer of such things as group psychotherapy, social role theory, and “sociometry”, which is a method for applied social psychology. Each approach that Moreno came up with to understand and help people aim at the goal of promoting people’s creativity. Moreno posited that many of humanity’s problems, whether social or psychological, stem from people’s tendencies to rely a lot on their past on what others have created for them (whether good or bad), instead of facing their current situation with a fresh, relaxed mind. Moreno also thought that pure holistic experimental process and true holistic learning required involvement through action, very much similar to what astronauts do when they are in simulators to train for a mission. This theory went very much against the natural tendencies of the day, which constrained the process to verbal modes of interaction. Moreno believed creativity is born most effectively through spontaneity, which isn’t mere impulsivity, but instead improvisation where one gets gradually more involved and allows the insights to emerge. It looks for ways at finding new answers or for a new strategy to solve problems. Measures of rationality and logic are combined with feeling and intuition. An observation was made that the best way to endorse spontaneity and creativity in problem solving within oneself is through the use of improvised drama. Psychodrama engaged the participants improvising scenes based on themes that they felt were most relevant to their lives, instead of engaging in the type of theatre that relies heavily on constant memorization and rehearsal of scripts. The term psychodrama has frequently (and incorrectly) brought up to describe any psychological piece of theatre, literature, or news event. People in those situations played out their parts without exploring other alternatives to the situation being acted. The bulk of psychodrama involves consciously and intentionally pausing to reflect on one’s thoughts and behaviors, most notably towards situations or people. This is done in contrast to plunging ahead without reflecting the problem, which more often than not, can exacerbate the problem. This process can be thought of as a kind of laboratory to examine psychological and social issues in depth. 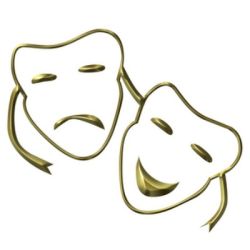 The primary aim of psychodrama is to help people become more creative in their lives by structured improvisation. The person that has the primary problem not only will play the role of the main character, but they will also be other characters in the play, or even to director. Through this varied participation, that person will develop a new understanding and appreciation for how to approach and solve their problem. This will possibly even give them a deeper meaning and more effective coping strategies. Psychodrama also gives a rich variety of techniques which can be integrated into other kinds of therapy. For instance, Fritz Perl’s gesalt therapy has borrowed the idea of talking to an imaginary person sitting in an empty chair. “Family sculpture” is a variant of a psychodrama technique used by family therapy, which sets up family members as if they were part of a diorama that symbolized the emotional relationships. Role playing is now commonly used in a assertiveness training or social skills classes. Other psychodrama techniques called “structured experiences”, “action techniques”, and “nonverbal games” have been used in group psychotherapy, self help groups, and personal growth programs. The audience, which is composed of the rest of the group. The procedure will begin with a warm-up. A five to fifteen minute general discussion will follow where issues are brought into focus. Here, the level of trust in the group must be bolstered. Structured exercises, like theatre games, can be used to stimulate the imagination, to promote self disclosure and allow everybody else to share an experience. Next, the protagonist is selected and the problem is presented, usually it is by the protagonist themselves. Their underlying assumption, which may have caused the problem, are brought ino more explicit awareness using different dramatic devices, such as doubling, asides, or soliloquies. In order to appreciate the dilemma of the other roles, the director will request that the protagonist switch parts and take on the challenge to respond to the interpersonal conflict from other’s viewpoints. This technique of role reversal is one of the most powerful ways to expand the imagination, cultivate empathy, and decrease tendencies towards egocentricity. This action will proceed through a series of several scenes, which include sub scenes, where the protagonist will step out of their role and think about their attitude and behavior. This phase may take twenty to forty-five minutes. The final act of a psychodrama session involves a period of “sharing”, where the members of the audience say how the enactment relates to their own lives. Since psychodramas have a tendency of being very emotional, this sharing will involve an opportunity for the expression of the feeling in the audience. This moment of clarity will help encourage and support the protagonist. When a group experiences a series of these psychodramas, there will seem to be a trust built that will allow more unconscious material to emerge and processed for future sessions. There are several benefits of psychodrama. The shifting in roles helps develop empathy and greater flexibility in thinking. The improvisation helps build a trust of the healthy parts of the mind, notably the creative imagery that flows through subconscious. The physical movement and encounter in the enactments help bypass the mind’s language based avoidances and leads to a deep form of insight. Psychodramtic methods help to improve its participants’ communication and problem solving skills. Self awareness is also enhanced. Because its applications have a broad scope in non-therapeutic and clinical benefits, psychodrama may be applied in various settings such as schools, professional training, business, religious education, community building, among other settings. There are limitations though. Psychodrama participants must have some degree of mental cohesion. They cannot be in states of delirium, intoxication, or psychotic confusion. In modified form, and with reasonable judgment, role playing methods have been used with mentally retarded patients, or those suffering from delusions, and others that might generally be inaccessible to ordinary “talk” methods of therapy.